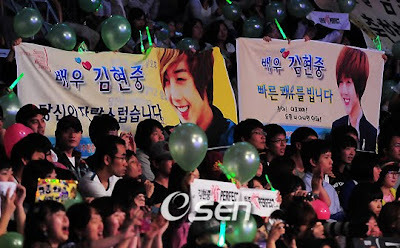 Oh, what mixed feelings Kim Hyun Joong must have as he watches the Seoul Drama Award ceremony from his hospital room Ohh....the poor boy !! I hope he will get more chance for acting, then he will get the chance of showing more of what he's got and fulfilling his great petential in that field. 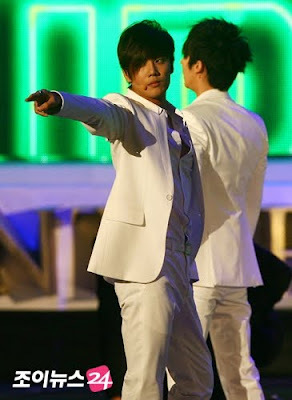 Isn't it great seeing his best bro Young Saeng receiving The Best Actor Award for him ?? I'm feeling warm and satisfied in my heart [ as I'm sure many of you are feeling too] cos.....even if it's only like a drop in the ocean, I also participated in bringing about this moment. 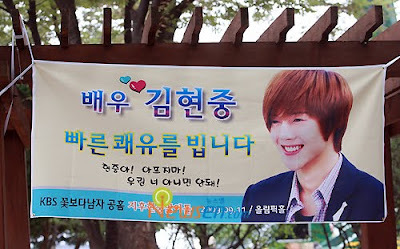 Congratulations, Hyun Joong !! 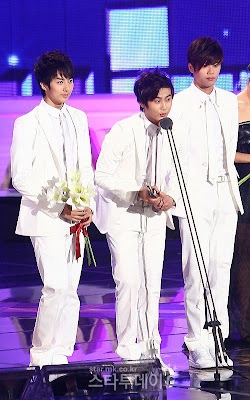 Please click here to watch Young Saeng receiving the Best Actor Award for Hyun Joong , and click here to see SS501 Project group performing "UR Man".